Below are links to important articles about this suit. 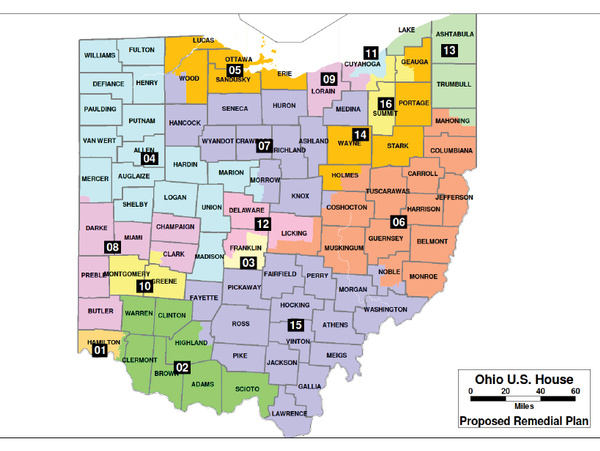 9.28.18 – CINCINNATI – A proposed Ohio congressional district map to strip the state of its politically gerrymandered voting districts in time for the 2020 election was offered up to a federal court Friday as part of a pending suit challenging the current map. 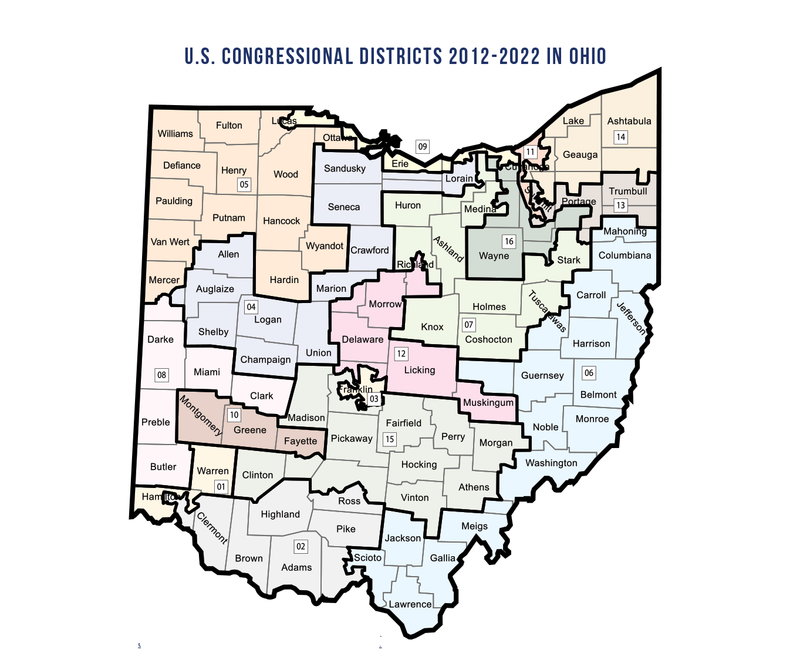 The plaintiffs, including the Ohio League of Women Voters, have argued that Ohio’s congressional map violates the constitutional rights of voters by “entrenching partisan advantage” — the result being 12 predictably Republican districts and four predictably Democratic districts in a state closer to 55-45 politically. For instance, the state’s three largest counties — Cuyahoga, Franklin and Hamilton — would all have one wholly contained district. The remaining areas would be shared with other counties. Husted, who is now running for lieutenant governor, questioned the timing. “Why did they wait six years to file a lawsuit challenging the maps? These groups should respect the will of Ohio’s voters who overwhelmingly approved a constitutional amendment earlier this month that established a new, bipartisan process for drawing congressional districts starting in 2021,” he said in a statement released after the suit was filed.